DENVER — At a time when the price of everything seems to be going up, The Regional Transportation District or RTD is proposing a rate increase for the 98 million passenger trips that are taken on public transportation every year. 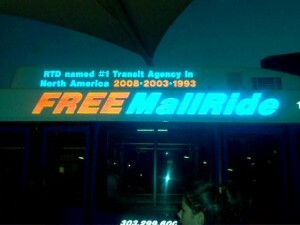 Like almost every other government agency in Colorado, RTD doesn’t have enough money to cover their costs. 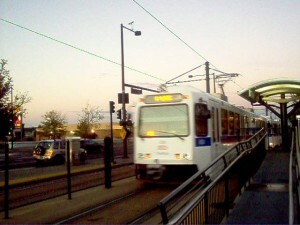 RTD’s preliminary budget estimate for 2011 identified an $18 million deficit. RTD’s operating revenues come from two main sources, sales taxes and passenger fares. Sales tax revenues account for 69 percent of those revenues while passenger fares account for 30 percent. Sales tax revenues continue to remain below what is needed to support current service levels. “It depends on how often they ride the bus, at my bus stop there are people that ride every day, and if they are poor enough so they can’t afford the new price, they can’t get to school or work,” said Trystan Brown, a Westminster High School student. RTD is quick to point out that rate increases are not the only way they intend to address their budget deficit. They will also be freezing salaries for RTD employees and reducing or changing bus and light rail routes to make them more efficient. “Sure, we have to raise the price 25 cents, and change midday schedules to run every hour instead of every half hour. But what’s the alternative?” said Bob Wilson, who is running for RTD Director for District L.
As part of Metropolitan State College of Denver’s fees that are paid every year, a portion goes to RTD so that the student identification card also acts as a bus and light rail pass for all routes. Students at Metro vote every year on rate increases, and 94 percent last year voted for the fee increase for student use that went from $46 to $61 a semester. “The people who ride the bus can’t afford to ride the bus as often, so their solution is to raise the price. It doesn’t seem to make much sense,” said Charles Scarberry, a Metro student.